Sapdra Client Reviews, Rating and Analysis Report. Founded in 2011, India based Software Development & IT Services providers, delivering high quality services including software development, CRM, e-Commerce development, Android & iOS development, web design, magento, Druple, Wordpress CMS development & digital marketing services through out the World. We offered quality SEO services and enhanced keywords ranking and website traffic. Delivered Quality Work. Great Team. Great service and support. Also, they timely delivered the project. 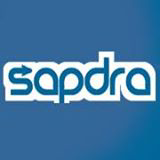 We would like to recommend Sapdra for future and other too, for any development jobs as well. Have great experience with Sapdra team developers. Good Luck! !